PiSector PS03-M Review – What’s It like? The home security industry is increasingly gaining momentum. In these times of economic challenges, home invasions are on the rise. People feel the need to protect themselves by doing a little more than keeping police hotline numbers on speed dial. Certain measures add to the security of homes and those that live in them by scaring off intruders and by alerting other people of the threat to their neighbors home. Some home security systems link homes to the police or remote monitoring officials who then check on the home in question. This attracts monthly fees and assumes that these people will be quick to respond and will be effective in defending the home. For those that are not keen on spending this extra money every month, the PS03-M alarm system is a perfect find. 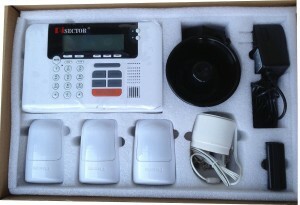 A company called PiSECTOR produced this wireless alarm system. The beauty of the PS03-M is that people can install it themselves; there is no need to hire an expert to set it up. The sensors are already configured to work with the control unit, which is perfect for the layman because it eliminates some of the technical aspects of setting up the system. This alarm system does not come with a printed instruction manual; buyers have to go to the company website to download one. YouTube videos are also available for step by step instructions on how to install the system. If all these fail, the company call center is open every week day from 10am to 5pm. Emails are responded to generally within 24 hours. This is perfect because most people are now conscious of their carbon footprint and would rather not use paper, preferring soft copy documents instead. There is no need to hire a security company to monitor it, as the system will alert you if the alarm is triggered. You can arm and disarm the system via your phone but painfully you cannot control this alarm via an app or via the internet. The alarm system comes with some features that every modern home security system should have. There is an auto dial function that stores and calls up to 6 numbers. There is a silent alarm mode that alerts your emergency contacts know that there is an intruder in your home, discreetly of course. If the alarm system is armed it will alert customers when the land line has a short circuit or is cut or unplugged. This is essential because that land line is vital for contacting the programmed numbers in the event that a thief enters the premises. Customers can rename the individual sensors using up to 28 characters. This enables the owner of the system to customize it and know which sensor is which when they are tripped. 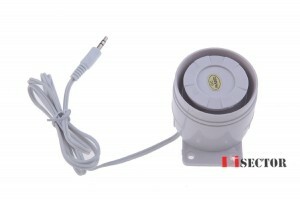 Door and window gap detectors are also included. These are stylish and have no antennas, which makes their presence less conspicuous. The motion sensors that come with this PS03-S alarm system can sense objects that are above 50 pounds in weight. They do an analysis before they ring in order to minimize the occurrence of false alarms. This is a great innovation in households that have pets. 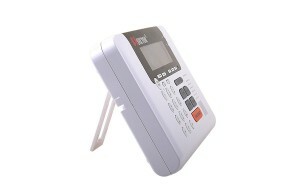 There is also a chime function that alerts customers when children open doors or windows. In the event that an unwanted outsider opens a door or window, the system comes with an indoor siren that is loud enough to alert those inside the house that there has been a break in, but is not loud enough to disturb the neighbors. There is also an outdoor siren that will definitely let the neighbors know that something untoward is happening. Good rapport with the neighbors is always advised because it will ensure that they will at least call the police when they hear an alarm go off. The PS03-M alarm system lets customers know if there are any open doors or windows when they are arming the system. This is especially useful when people are about to leave the house for stretches at a time. There is an option to override this function, by giving one long press to the ARM button. Customers can set their own daily arm or disarm schedule so that the system will do this automatically. This is great for creatures of habit that hardly ever deviate from their routine. It also comes with a mute option so that when an intruder does come, they are unable to find where the console is, unless of course it is in an obvious place. Apart from a standard AC/DC adapter the alarm is also equipped with a backup battery in the event that power goes off for whatever reason. LED lights keep customers aware of the status of the system. These lights on the sensors alert the customer when their batteries are running low, so that they can make a plan to replace them. Generally the range of the motion sensors from the main console is about 300 feet, assuming that there are no obstacles in the way. The motion sensors have a detection range of up to 35 feet in an open area. Also included in the package are spacers, screws and 3 meters of double sided tape. The only thing that customers may have to add is a landline cord in the event that one is unavailable. The double sided tape does not adhere to certain surfaces and so some super glue may be required as well. Using this alarm system has been made very easy for customers. To arm or disarm it, one just has to enter their personal code and voila, it is set. 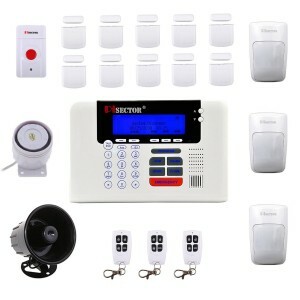 This Professional Wireless Home Security Alarm System Kit with Auto Dial functions is a good solution to basic home security woes. 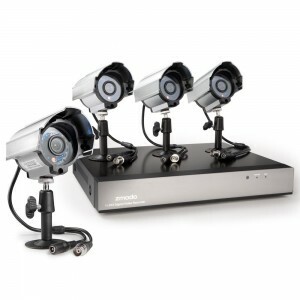 Some drawbacks include it cannot be used in conjunction with a CCTV system. Customers must note that unfortunately the system allows only one password, so there is no room to give temporary passwords to house keepers and nannies. It is best for as few people as possible to know the personal code that activates or deactivates the alarm. Keeping this knowledge in a small circle will help to ensure that the code does not inadvertently end up in the wrong hands. You also cannot control the alarm with a PC or App. But if a cheap alarm system with no wires excites you and you don’t have cause for a connected CCTV system, this covers the basic quite well. No wires are needed between sensors and the alarm system, so this would be an ideal system for renters/landlords or anyone who likes to move frequently. Fortress S02-B Review- Good Enough For Home Security? 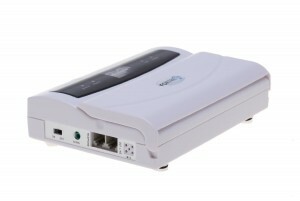 The S02-B by Fortress represents a well liked wireless home security system. This is a bestseller for a reason. Like most of the wireless systems on the market it’s a cinch to install. You can do away with your monthly monitoring fees as the self monitored system will contact you if it is breached. It will dial through up to 6 pre-programmed numbers until it gets through to you. You can also dial into the system from your phone and listen to what is going on via the intercom. You also have the ability to play a recorded message or a custom sound. Maybe the Liam Neeson spiel from Taken or the sound of a rabbit Alsatian dog would do. The good thing about this system is you can install multiple sensors per zone. So you can install motion, magnetic and smoke alarm sensors for instance. Disarm/arm keyfobs x 3 – saves you punching in disarm code upon entering home. The main control unit isn’t as indestructible as a SimpliSafe system. As the system costs so low, it has sacrificed build quality. Although the warranty lasts 3 years so if you have any problems there is a great guarantee. You’ll have to do a little digging online to get a more in depth user manual if you want to start tinkering around with the delay and distance time of the sensors. Useful for setting activation times when you are going to bed/leaving the house. You also have only 90 secs to disarm the system on re-entering the house. Ok if you are entering the front door, maybe not if you are coming in through the garage with shopping and a lot of screaming kids. Lets hope the keyfob works at a range! The lowest setting for alarm activation is 30 seconds. Fine for most people but if you leave the house in a hurry someone can nip in the back door or window at the same time. On a plus though you can program individual delays on the sensors, so if you want to use up to a 90 second delay on the back door sensor you can do just that. The system already comes with one sensor programmed to a 90 sec delay for the front door. The manuals are poorly translated from non-english text. They make for a hard read. If you search online (there is an address inside the packaging) you can find an updated manual. If you like the sound of blips and bleeps to let you know your system is working or when someone is leaving or entering the house (kids/wandering grandparents) you can add audio bleeps to doors of your choice to let you know they have been opened. Should you trust Fortress for your wireless home security needs? Well the S02-B is a great plug and play pre-programmed system if you don’t like wires or the hassle of customizing your alarm. There are easy to follow set up videos on the Fortress website but the customer service is very good should you run into problems, with Mike especially receiving lots of praise from numerous customers. Many of such happy customers have given the product a 5* rating. The ability to activate different zones is a useful feature in such a cheap system. If you hit the HOME button you can walk around without setting off the alarm as long as you don’t open the windows or doors in a certain zone. Just press the AWAY button once leaving the house and the system is fully armed. A good cheap system, with the only limiting factor being the entry/exit delay timings. 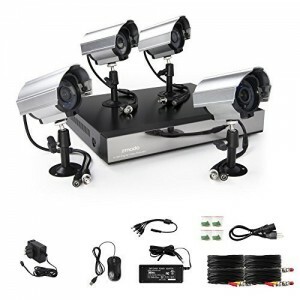 Lots of happy customers are buying this system on Amazon and giving it a 4.5 rating. 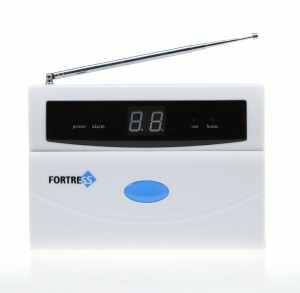 If you have a few more quid and want that extra security it’s a good decision to consider the Fortress GSM-B which packs a few extra features for a little extra.